Listen to "Episode 145 - Amy Bulter: God and Guns" on Spreaker. In the latest episode of Crackers & Grape Juice, I sat down with two of my favorite Baptists, Rev. Amy Butler & Rev. Todd Littleton, to talk about gun violence in the wake of the Parkland, FL shooting. Since the Parkland shooting there have been more shootings in American schools and without a doubt, there are more to come. 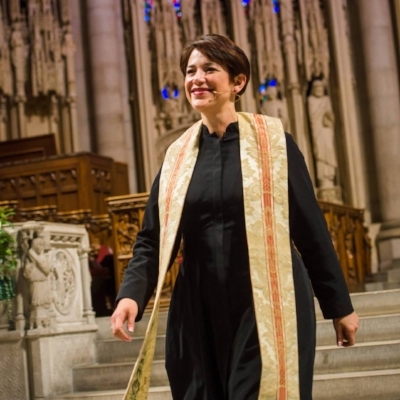 Pastor Amy Butler is the seventh Senior Minister and the first woman to serve at the helm of the Riverside Church in New York City. She holds degrees from Baylor University, the International Baptist Theological Seminary, and Wesley Theological Seminary. Follow Pastor Amy on her blog http://www.talkwiththepreacher.org or on social media @PastorAmyTRC. Want to know more about how you can support God & Guns 2018? Visit God & Guns 2018 to donate, host a livestream, or sponor.